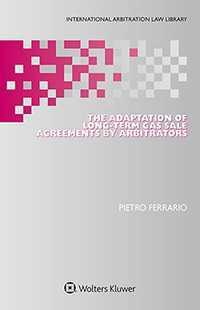 The Adaptation of Long-Term Gas Sale Agreements by Arbitrators deals with the issue on adaptation of agreements by arbitrators upon the occurrence of unforeseen events altering their balance. International commercial gas sale agreements are often characterised for twenty years or more. Consequently, when unforeseen events alter market conditions, the contractual equilibrium originally found by the parties is disrupted, giving rise to the need to renegotiate and adapt the agreement. This book aims to provide an analysis of such matter from an in-depth consideration of the power of arbitrators to intervene on the agreement in the light of arbitrability and procedural law. trend towards introducing spot-market elements into an oil-indexed price formula. A central discussion throughout this book is the possible responses to the questions of whether it is possible to determine a principle of law justifying the arbitrator’s power to intervene in contract adaptation. All professionals involved in the production, wholesaling, or distribution of gas will find this book indispensable. It will also be of special value to practitioners, policymakers, and regulators in the fields of energy law and environmental law.